Hello, lovelies! 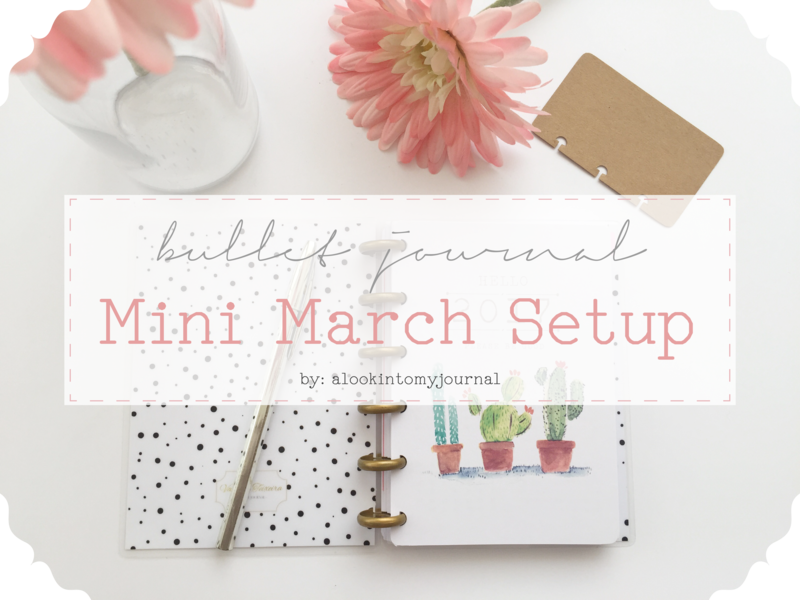 Today’s post is about my setup for March in my mini Bullet Journal. I always have a ton of fun setting it up and playing around with different spreads, and I hope you’ll like the end result as much as I do!! It’s pretty simple, but I always have a ton of fun setting it up and playing around with different spreads, and I hope you’ll like the end result as much as I do!! 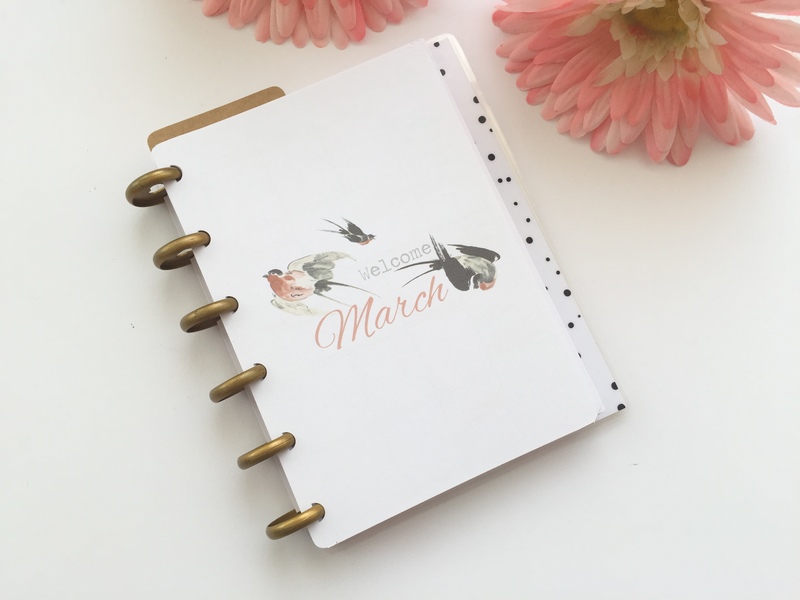 I always like to add a little decorative page at the start of each month. It looks very pretty and makes me really happy!! Next up is my month at a glance. 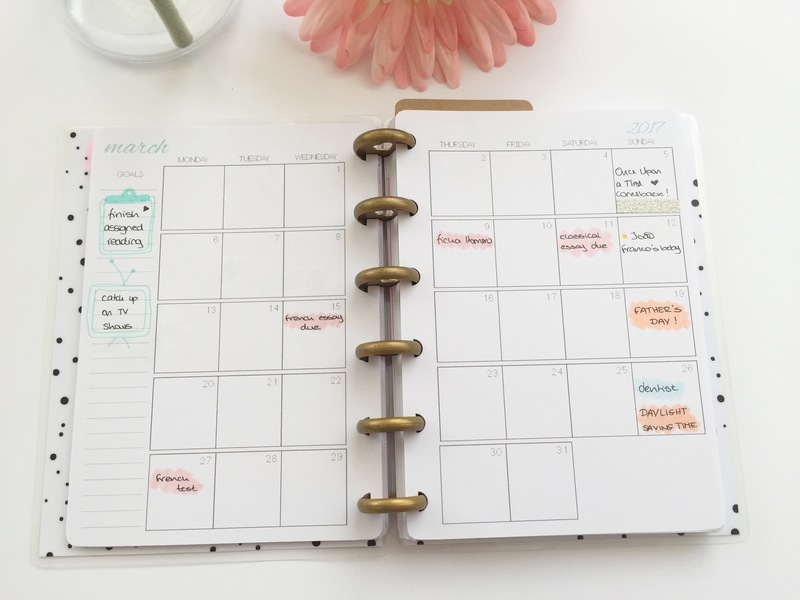 I always like to have an overview of the whole month, because it’s easier to see how far any appointments, events, assignments, etc. are, and I can be better prepared for them!! Each thing is color coded, so it makes it easier to find something, or to check for birthdays, for example, I just have to look for yellow, and then see whose birthday it is and voilà! 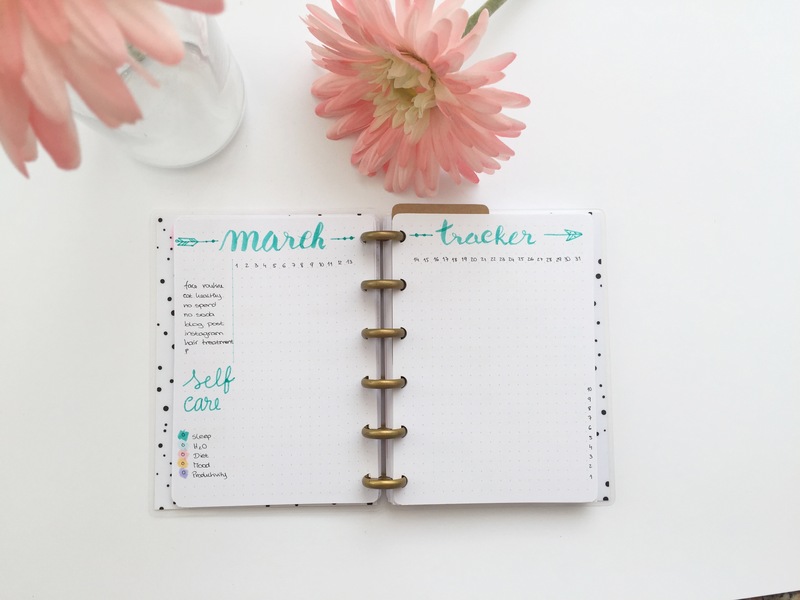 For the monthly tracker, I did the same spread as in my Leuchtturm notebook, which is inspired by Boho Berry. Since the pages are tiny in this notebook, I can’t do the whole thing on one page, but I actually like it better on two pages!! On the top part are my habits, and on the bottom are my self-care “tasks”. I currently track my sleep, my water intake, my diet, my mood and my productivity. All of those are rated from 1-10 each day, and I love doing this because it makes me reflect on my day, and think about what I should do differently the following day! 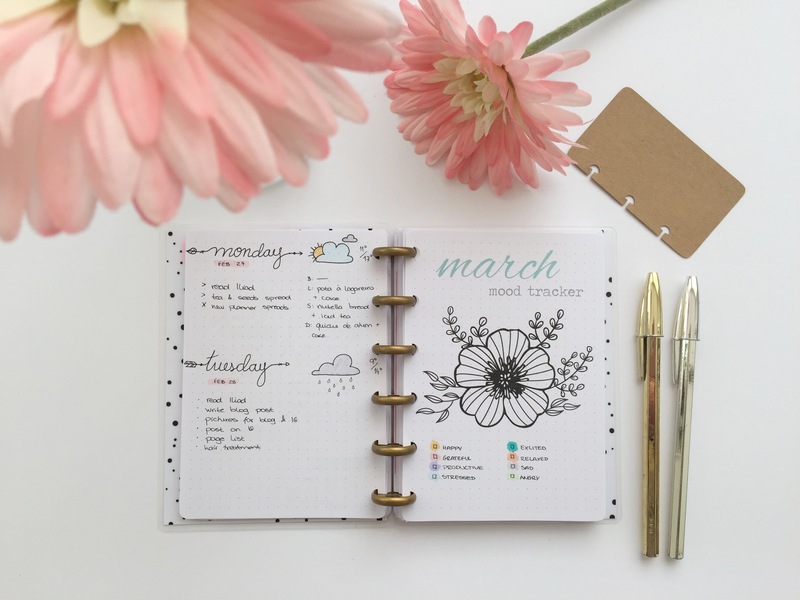 The next spread is the first week of March. I designed this page for this week, but I’m probably going to try a different design each week, and then if there is one I feel like worked best, I’ll mostly use that one! For this week, I have a square box for each day, another square box for notes, and then a few boxes for this week’s and next week’s tasks, groceries I need to buy and orders I’m waiting on. On my Leuchtturm, I set up a Mood Mandala page, but that wouldn’t fit in this one, so I decided to switch it up. I divided a flower’s petals into 31 different sections (one for each day of the month), and each day I will fill one in with the color that corresponds to the most prominent mood of said day, if that makes sense. 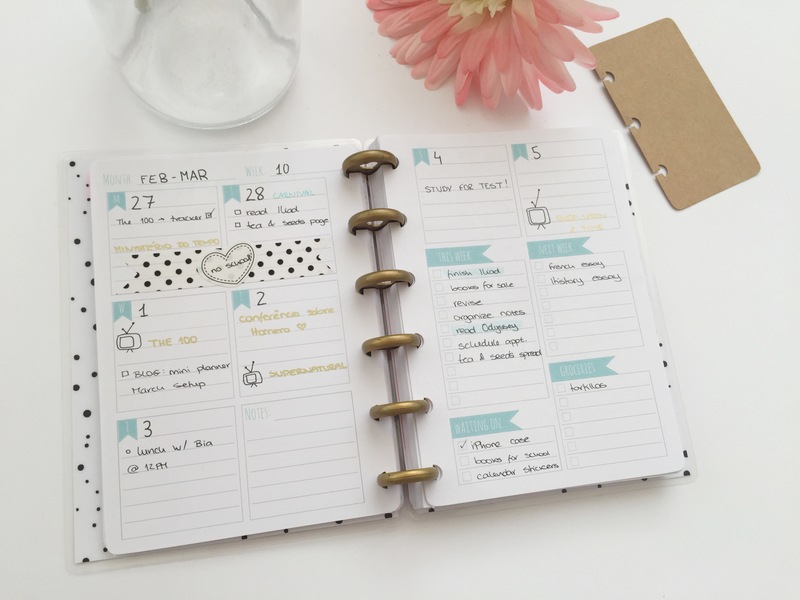 On the left page are just my regular dailies for Monday and Tuesday, and I’ll start March’s dailies on the next page, so it worked out perfectly!! Alright guys, that’s all for March so far! 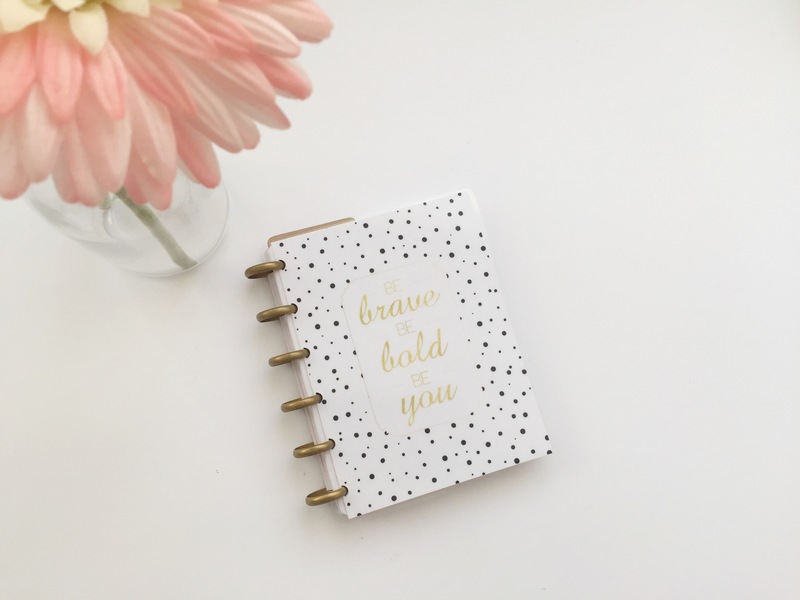 I hope you enjoyed taking a peek into my tiny journal. Let me know in the comments what you thought, and definitely leave any suggestions you might have there too! I absolutely love it!!! You are SO creative. Thanks so much for sharing! !